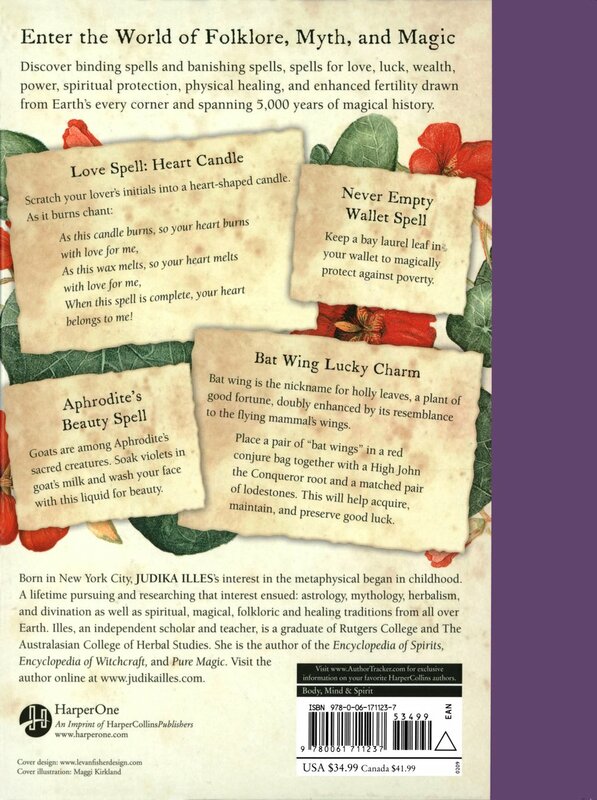 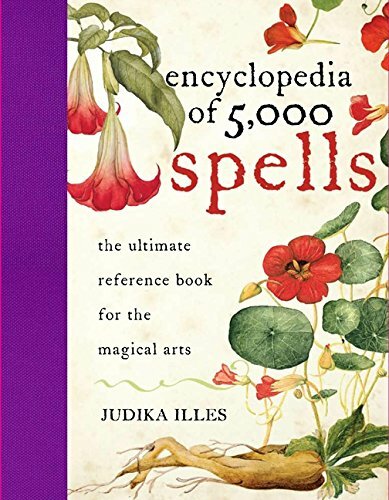 In The Encyclopedia Of 5,000 Spells: The Ultimate Reference Book for the Magical Arts, independent scholar, educator and author of several books of folklore, folkways, and mythology Judika Iles enables the reader to enter the world of folklore, myth and magic with binding spells and banishing spells, spells for love, luck, wealth, and power, as well as spells for spiritual protection, physical healing, and enhanced fertility drawn from Earth's every corner and spanning 5,000 years of magical history. 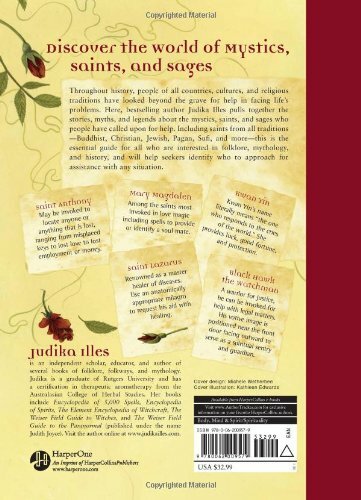 World-class spell collector, fortune teller, psychic practitioner, spirit worker as well as independent scholar, writer, and teacher, Judika Illes offers a comprehensive encyclopedia of the sacred, helpful mystics, saints, and sages from a large variety of religious traditions who can, when venerated, produce miracles for the reader. 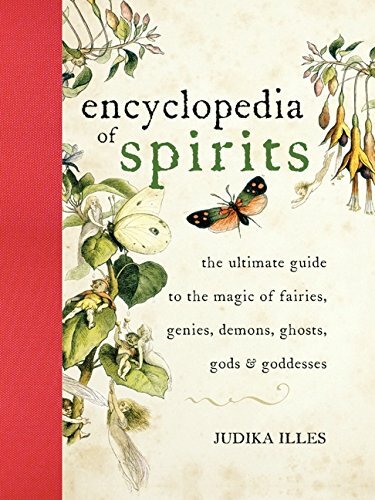 Illes, author of The Encyclopedia of 5000 Spells and The Encyclopedia of Spirits, surpasses herself in this peerlessly expansive guide for all interested in folklore, mythology, and history, as well as those looking for guidance about accessing the power of saints. 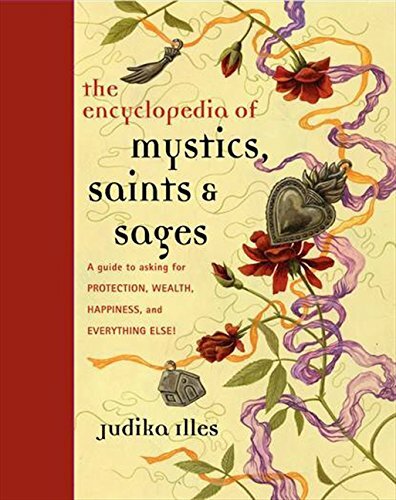 Illes’ The Encyclopedia of Mystics, Saints, & Sages is the most comprehensive, accessible, and effective guide available anywhere.